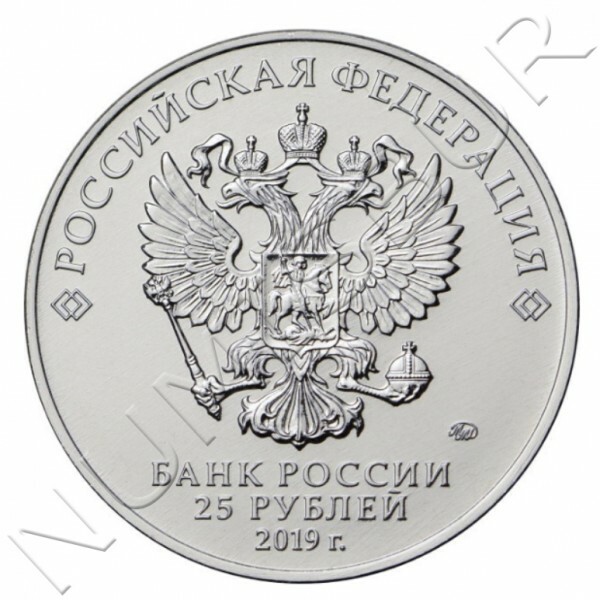 Obverse: in the centre there is a relief image of the National Coat of Arms of the Russian Federation and over it a semicircular inscription along the rim: "РОССИЙСКАЯ ФЕДЕРАЦИЯ" (RUSSIAN FEDERATION) framed by doubled rhombuses on both sides, under the emblem, in three lines, there is an inscription: "БАНК РОССИИ" (BANK OF RUSSIA), the coin’s par value "25 РУБЛЕЙ" (25 RUBLES), and the year of issue "2019 г." (2019), and on the right there is a mint trade mark. Reverse: a relief image of the Broken Ring Monument with a semicircular inscription: ‘75-ЛЕТИЕ ПОЛНОГО ОСВОБОЖДЕНИЯ ЛЕНИНГРАДА ОТ ФАШИСТСКОЙ БЛОКАДЫ’ (75th Anniversary of the Full Liberation of Leningrad from the Nazi Blockade). The artists: E.V. Kramskaya (obverse), A.D. Schablykin (reverse). 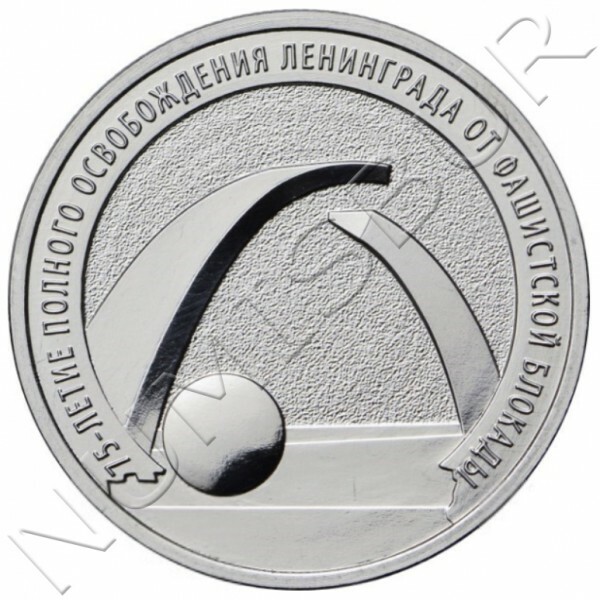 The sculptors: A.A. Dolgopolova (obverse), computer simulation (reverse).